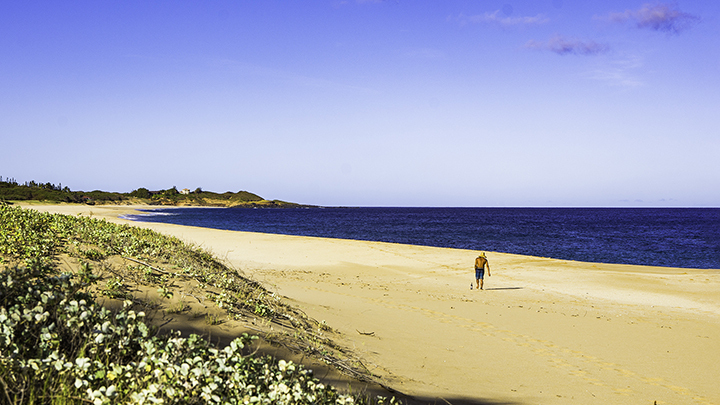 Strolling on Papohaku Beach on Molokai, one of the hidden hot spots on Molokai. 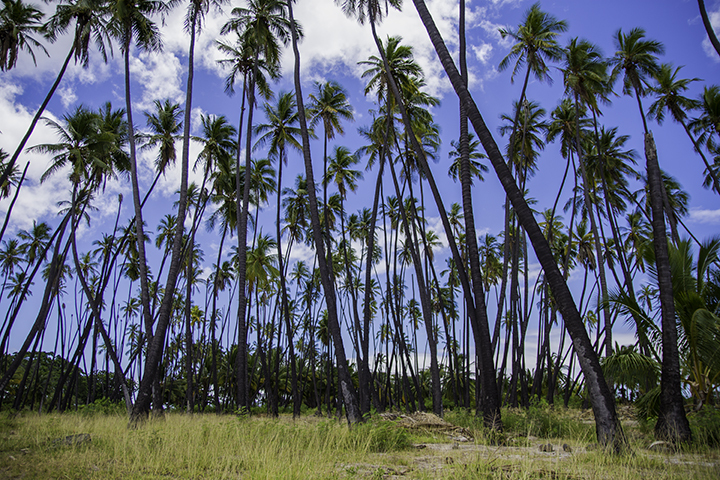 On every corner of Molokai, there are delights for the eyes and enchantments for the soul. Explore the wilds of this island and travel back in time to witness the marvels of this island. Whether swimming at a secluded beach or kayaking over barrier reefs, these are the best hidden hot spots on Molokai. Who wouldn’t want to paddle across the ocean viewing spectacular waterfalls over country’s largest reefs? Paddling over choppy seas off Molokai’s north coast can be an exhilarating experience. But March to April and August to September offer calmer waters for stunning views of Molokai from your kayak. For views of one of America’s longest reefs over year-round calm waters, try kayaking along the south coast. 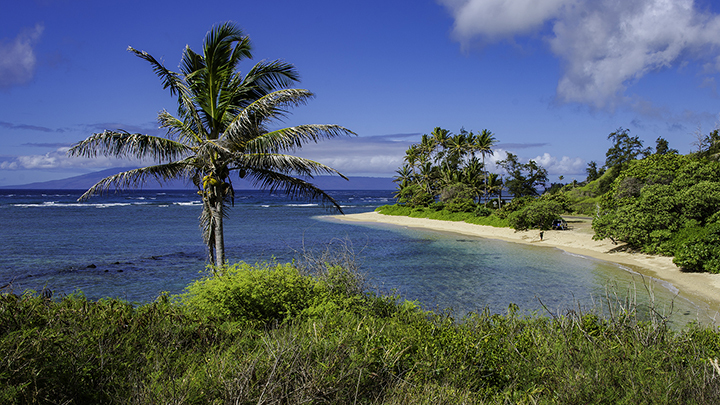 On the island’s west end, lies one of Hawaii’s longest beaches extending nearly 3 miles long. The golden sand melts into the sea and is particularly colorful and resplendent at sunset. For a solitary stroll, arrive during sunrise to have the beach all to yourself. One cannot visit Molokai without sampling some of the most delicious flavors of the island. Try fresh authentic Molokai-grown coffee at the Hawaiian Plantation Store. Visit Purdy’s All-Natural Macadamia Nut Farm in Ho’olehua for scrumptious macadamia nut delicacies. Or check-out Molokai Meli for some unique Hawaiian kiawe honey. The beaches, tropical flowers and beautiful views along the way to scenic Halawa Valley make you linger and drive slowly. Along the long and winding road, there is Sandy Beach, a small cove of glittering white sand. It’s a relaxing and relatively safe place to go swimming, but only when the surf is not up. The road ends in historic Halawa Valley. Here, you can see some of the earliest known Hawaiian settlements. You can also hike and explore to your heart’s content. While it’s challenging to reach trail head, this is a great place for a secluded hike. While on the trail, you’ll see a rich array of Hawaiian plant life thriving for thousands of years. At the end of the trail, you will be rewarded with an a view of the ecologically pristine Pelekunu Valley. 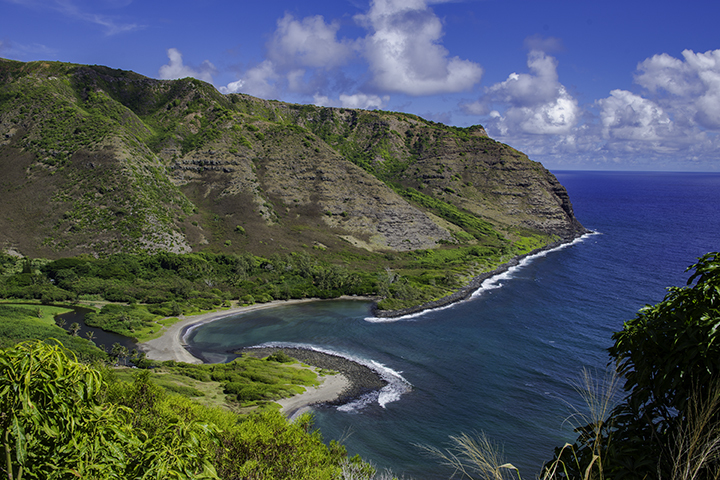 The Nature Conservancy owns and protects this precious natural wonder on Molokai. Kumimi Beach is the perfect destination for marine-life loving divers. Swim along the surface for views of brightly colored reef fish, such as butterflyfish, convict tangs and wrasses. The beach is an ideal place to explore and for a mid-morning nap on its comforting sand. The Nature Conservancy owns and protects this preserve. This rare coastal sand dune area is one of the last untouched Hawaiian coastal eco-systems. On monthly escorted tours, one can find rare and endangered native Hawaiian plants and animals. Examples include: the Hawaiian green sea turtle and the sunflower, Tetramolopium rockii. One can find this sunflower nowhere else in the world except at Mo’omomi. This is one of the best hot spots on Molokai to watch the sunset. Amid the swaying silhouettes of palm trees, the colors that streak the sky are bold and bright before fading at dusk. Be wary of sitting under the trees to avoid falling coconuts.